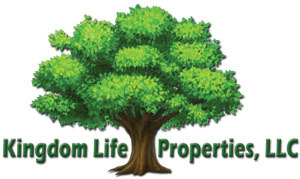 Kingdom Training Institute is pleased to announce the launch of our sister company, Kingdom Life Properties, LLC. This brief (15 minute) video explains how we will provide safe and significant returns for those who choose to partner with us. Please note: Real Estate investing is not a good choice for every investor. Typical investment amounts start at $100,000. If you have any doubts about whether this is a good investment opportunity for you, please seek advice from an independent financial advisor.